DESPICABLE ME 3 (2017). A constantly ka-chinging cash register disguised as a major motion picture, the utterly banal and utterly boring Despicable Me 3 is largely the animated equivalent of the recent home-entertainment release Transformers: The Last Knight. While it may not be as stridently idiotic as the Michael Bay dud, it’s similar in that it also merely goes through the motions expected from an established and profitable franchise. It’s full of rote sound and fury, but while it’s tempting to say it signifies nothing, that wouldn’t exactly be correct. It signifies the continued standing of Hollywood as the ultimate babysitter, providing harried parents another option to cram into the player for their little darlings — and if Minions are involved, so much the better. What made Gru (voiced by Steve Carell) unique in the 2010 original was that he was a villain, only softening toward the end of the film. That sharp edge was filed down in 2013’s Despicable Me 2, since he was now a full-fledged good guy. In this latest outing, he’s only grown more uninteresting as a character, so the filmmakers compensate by introducing a twin brother named Dru (also Carell) — unfortunately, he’s even more bland than his sibling. The sop to adults comes courtesy of the villain: Balthazar Bratt (Trey Parker), a former child star in the 1980s, is now a mullet-topped super-villain, committing his crimes while backed by Top 40 hits from the era (Michael Jackson, Dire Straits, a-ha, etc.). It’s calculated rather than clever, and it’s just one more sign of the crushing laziness that this picture proudly if perversely displays at every conceivable turn. GIDGET (1959). In this sunny romp that helped set the tempo for the beach flicks that blanketed the 1960s, Sandra Dee stars as Francie Lawrence, a teenage girl who, unlike her peers, isn’t particularly interested in boys. Instead, she falls hard for the sport of surfing, dreaming about riding the waves on her own surfboard. She starts hanging around with a group of strapping surfers who collectively give her the nickname Gidget (“girl” and “midget” smashed together). Eventually, Gidget finds herself developing feelings for two of the guys — that would be the aloof Moondoggie (James Darren) and the leader of the group, an older, self-described beach bum known as The Big Kahuna (Cliff Robertson, playing what appears to be an antecedent of Patrick Swayze’s Bodhi character from Point Break). Aimed squarely at the teenagers of the day, Gidget still registers as an agreeable diversion marked by a suitably vivacious performance from Dee. Yvonne Craig, the future Batgirl on TV’s Batman, appears as one of Gidget’s guy-hungry gal pals, and look for up-and-comers Doug McClure (The Land That Time Forgot) and Tom Laughlin (Billy Jack) as two of the surfer dudes. Gidget inspired decades of remakes, rip-offs and revivals, including two direct sequels (1961’s Gidget Goes Hawaiian and 1963’s Gidget Goes to Rome, neither starring Dee but both featuring Darren) and a short-lived 1965 TV series starring Sally Field. ONE DAY AT A TIME: THE COMPLETE SERIES (1975-1984). During the 1970s, Norman Lear was responsible for the creation and/or development of many of the all-time great TV sitcoms, including Sanford and Son, Maude and, of course, All in the Family. Although incredibly popular following its debut, One Day at a Time just couldn’t keep pace. 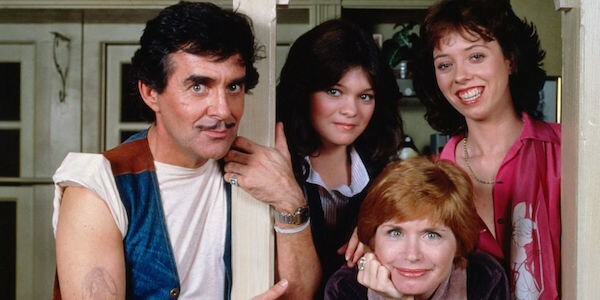 Set in Indianapolis, the show focuses on Ann Romano (Bonnie Franklin), a divorcee raising two headstrong daughters, Julie (Mackenzie Phillips) and Barbara (Valerie Bertinelli), to the best of her abilities. In between juggling jobs and suitors, Ann also has to contend with the comic antics of her apartment building’s superintendent, the self-impressed Schneider (Pat Harrington). Certainly, One Day at a Time was important from a social standpoint – while it wasn’t the first show with a fiercely independent woman at its center (see, among others, Mary Tyler Moore), it was the first hit series with a divorced character at its center. But as a comedy, it simply isn’t as funny as other Lear properties, too often exhibiting the predictable rhythms and punchlines of the more standard sitcoms of the period. Notable guest stars over the course of its nine-year run included a pre-Star Wars Mark Hamill (as Schneider’s nephew), Corey Feldman, James Darren (see Gidget, above), Jay Leno and The Doors drummer John Densmore. While not an awards darling like numerous other Lear shows (although Harrington did nab a Best Supporting Actor Emmy for the final season), it was a steady ratings performer, landing in the Nielsen Top 20 eight out of nine seasons (all but the last) and peaking at #8 in its second year. 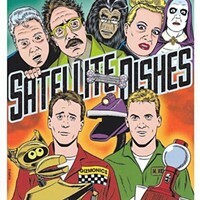 DVD extras consist of a retrospective piece; a 2005 reunion special; and an interview with Phillips and Glenn Scarpelli (who joined the show during the sixth season as the teenage Alex Handris). SAYONARA (1957). I’ve never been one of those comfortable with calling Marlon Brando the greatest film actor of all time – his growing disdain for his profession, his laziness in certain roles, and his campy approach in other parts all worked against such a lofty designation. But Marlon Brando as the greatest film actor of the 1950s? Now that’s a different story altogether. Earthy and unpredictable, the Method giant delivered a number of superb performances during the decade, and one such turn can be found at the center of this excellent adaptation of James A. Michener’s novel. Brando stars as Ace Gruver, an Air Force pilot stationed in Japan and engaged to the daughter (Patricia Owens) of a prominent general (Kent Smith). 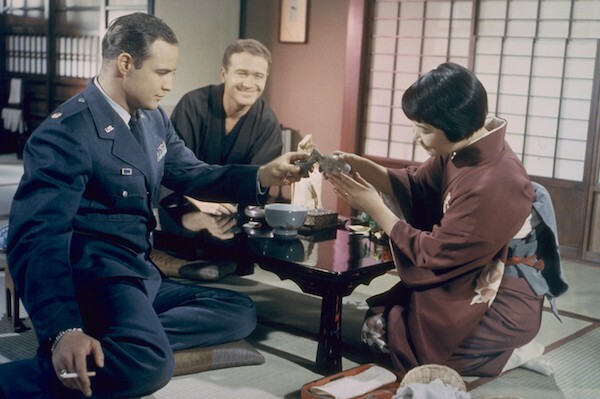 Like many in the military, Gruver stands by the rules that work against American soldiers dating Japanese women, but he softens his stance when his friend Joe (Red Buttons) marries the soft-spoken Katsumi (Miyoshi Umeki). He further loosens up after befriending an officer (James Garner) who’s also free of bigotry, and he eventually finds himself falling for the celebrated Japanese entertainer Hana-Ogi (Miiko Taka). This tale of pride and prejudice works on a humanistic level, yet it also registers as a visual wonder, with cinematographer Ellsworth Fredericks’s lovely vistas filling the widescreen frame. 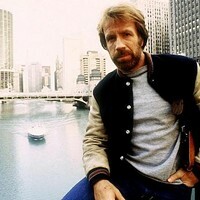 Nominated for 10 Academy Awards, including bids for Best Picture and Best Actor, it won four: Best Supporting Actor (Buttons), Supporting Actress (Umeki), Art Direction-Set Decoration, and Sound. SILENT NIGHT, DEADLY NIGHT (1984). 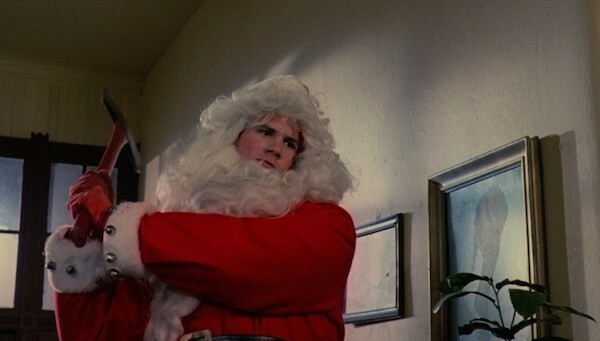 What was basically a standard slasher flick emerged as a lightning rod of controversy once the nation got wind that Silent Night, Deadly Night, released approximately six weeks before Christmas, featured a killer who wore a Santa Claus suit while embarking on his reign of mayhem. Young Billy, who (not unlike Batman) witnesses his parents being murdered by a thief, is particularly disturbed that the assailant is sporting a Santa suit. Years later, the 18-year-old Billy (Robert Brian Wilson) loses it at Christmastime and begins slaughtering almost everyone he encounters — all while donning a Santa outfit. Parents protested, Gene Siskel read out the names of the key creative personnel on an episode of At the Movies (“Shame on you!” he admonished), and Leonard Maltin, in his annual Movie Guide, assigned the film his BOMB rating and wrote, “What next – the Easter Bunny as a child molester?” Faced with mounting criticism, the picture was pulled from theaters after a couple of weeks. That’s an awful lot of fuss for a film that, even with the Yuletide slander, really isn’t any more nihilistic than other gruesome horror yarns of the period. It is perhaps even more witless, though, showing little imagination in every department. Nevertheless, the controversy allowed it to become a hit on video, and it was followed by four sequels (one starring Mickey Rooney!) and a 2012 remake. The new Collector’s Edition Blu-ray of Silent Night, Deadly Night contains both the R-rated, 79-minute theatrical cut and an unrated, 85-minute version. 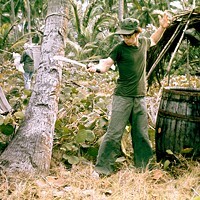 Extras include audio commentary by Wilson and executive producer Scott J. Schneid; separate audio commentary by Schneid, scripter Michael Hickey, composer Perry Botkin and editor Michael Spence; a new making-of featurette; an audio interview with director Charles E. Sellier Jr.; and trailers. TWIN PEAKS: A LIMITED EVENT SERIES (2017). It’s interesting that two of the best shows of the 1990s were revived in 2017, but the collective disappointment triggered by Twin Peaks and Mystery Science Theater 3000 ultimately meant that you can’t go home (or back 25-odd years) again. Even with the second season of Twin Peaks experiencing some narrative turbulence, the original 1990-1991 run of David Lynch’s brainchild remains one of television’s defining masterpieces, and the thought that Lynch was finally returning to this project – and unshackled by network restrictions, to boot – was great news. But in retrospect, some limitations on Lynch might have been welcome, since this belated third season, known alternately as Twin Peaks: A Limited Event Series and Twin Peaks: The Return, suffers from extreme excess and overkill. To be sure, there’s enough genuine greatness in this 18-episode run that makes the entire project worthwhile viewing, but there’s also enough bloat to reveal that the emperor has no clothes at least part of the time. 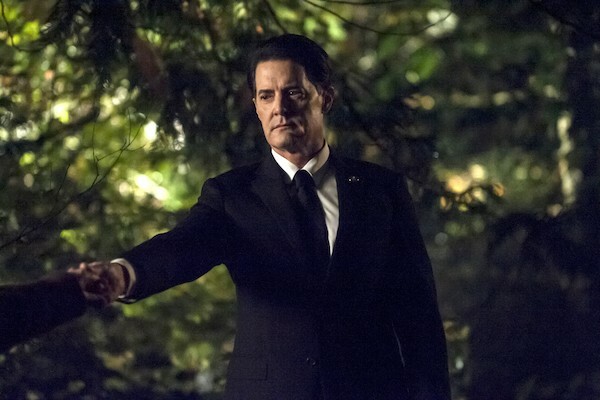 The best element of this revival is Kyle MacLachlan’s tremendous performances as Agent Dale Cooper (seen far too briefly throughout the series), Bad Dale, and Dougie Jones. The worst part is Lynch largely ignoring established and intriguing characters for the sake of insufferable new ones – instead of more time spent with, say, Audrey Horne (Sherilyn Fenn) or Benjamin Horne (Richard Beymer), we get such pointless additions as Steven Burnett (Caleb Landry Jones) and Wally Brando (Michael Cera). (Admittedly, there are a few new additions that prove engaging, especially a terrific Naomi Watts as Dougie’s wife Janey-E.) Narrative threads run the gamut from fascinating to fruitless; meanwhile, Lynch the writer-director clearly loves Lynch the actor, since he gives him endless comic scenes that prove more annoying than amusing. A mixed bag, to be sure. 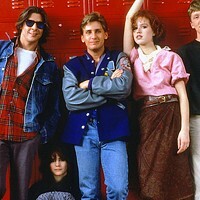 Blu-ray extras include a 5-hour, 10-part behind-the-scenes piece; promo pieces; and a photo gallery.